The Munich startup Camperboys wants to give travelers a campervan experience where comfort is the main focus. The startup’s digital travel assistant aims to guide campers down the ideal routes and give them insider tips for overnight stays. 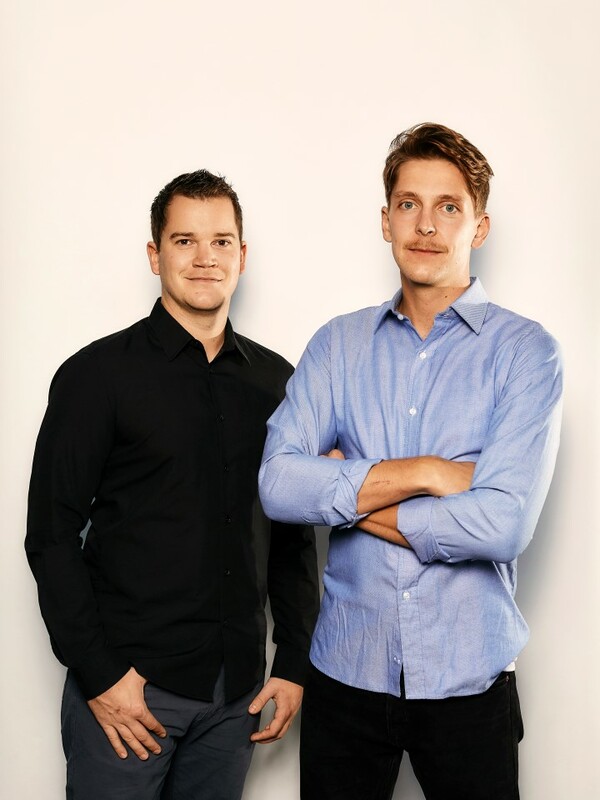 For both founders, Andreas Mall and Paul Pizzinini, Camperboys is their second company. The two let us know how they came up with the idea and what makes it so unique. 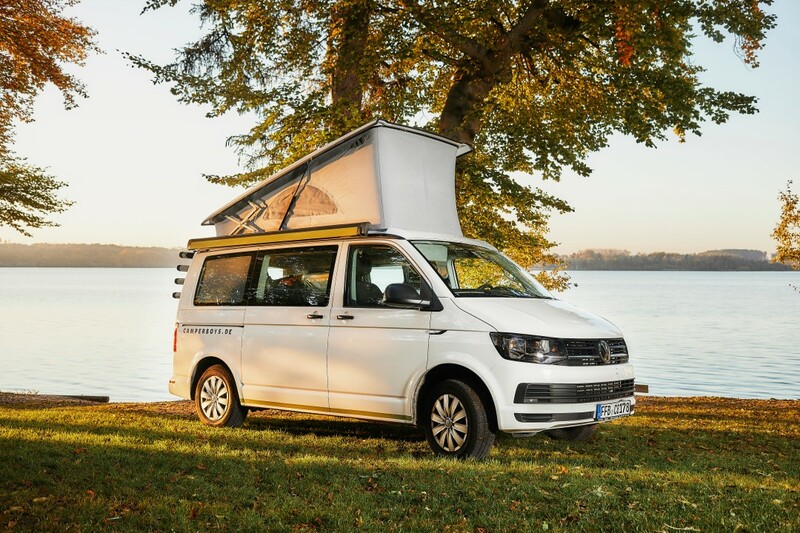 Camperboys rents out top-of-the-line VW campervans right at Munich Airport. Actually, the story behind the name starts with the two of us, Andreas Mall and Paul Pizzinini. We’ve traveled all over the world together since our school days, equipped with the essentials, a few hammocks or a retired camping van, but always with a real passion for adventure. 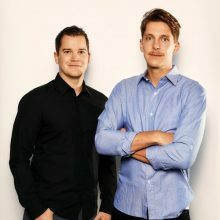 At the same time, Andi was working on his bachelor’s degree in Business Administration and qualifications as a bank business administrator while Paul completed his master’s degree in Media, Management and Digital Technologies in Munich. We turned our passion for traveling and discovering the world on wheels into our profession. Now we’re making that adventure a little easier for our customers: We offer the latest VW California vans with all of the extras you need for a comfortable trip. These vans make the hearts of both camping newbies and experienced globetrotters skip a beat. We might not be Germany’s first campervan rental company, but it’s our location that’s one-of-a-kind: With the option of starting right from the airport, we want to also make it possible for international travelers to experience a mobile adventure. Munich is naturally a perfect place to start a trip through Bavaria’s amazing Alpine foothills or through Germany or Europe. In addition to classic and analog rental, our campers will also have a digital travel assistant as an app that offers hand-picked, individual routes and personal contacts throughout Europe. The Camperboys want to provide an unforgettable experience that doesn’t necessarily mean a “jam-packed campsite,” but can instead be at places that are insider tips, like unique country estates with breathtaking views. Getting Camperboys big enough to live on our dream without any of our own capital and without selling any shares. Getting set up at the Munich Airport, renting out our VW vans and developing our individual route app are going as planned. For 2020, we’re already negotiating with strategic partners to speed up our expansion. And what’s most important: Our team is growing and we always have a ton of fun! We both grew up on Munich’s west side and have always really enjoyed being so close to the lakes and mountains. You’re in the Alps in an hour, on the coast in five hours — and this location is excellent for Camperboys as well! We’re also lucky enough to benefit from the exceptional network provided by the LMU Entrepreneurship Center and UnternehmerTUM, which allows us to establish promising contacts. Munich in general offers a great base for networking because important contracts are still often signed on a beer coaster. Unicorn or not — we’re going all-in and are having so much fun doing it! Camperboys is already profitable, so hopefully we won’t have to be part of the Epic Fail Night. Steckerlfisch (fish grilled on a stick) or Schweinshaxe (knuckle of pork)? Two knuckles of pork, please!